It’s that time of year: when we’re tricked into longing for the dark, cold, grey reality that is winter. Seasonal ads inspire nostalgic glee through the promise of cozy moments in which we enjoy sweet, milky, caffeinated concoctions while wearing heavy knit caps and sporty puffer jackets, surrounded by all that glitters and smells of cinnamon. Meanwhile, the leaves are so beautiful and colorful they almost make you forget that everything is dying. In other words, it’s an amazing time of year to be a brand who boasts any of the aforementioned attributes of the season. Brands, lean into the nostalgia-inspiring lies. After all, this gold and glittery season feels shorter and shorter every year, despite beginning earlier. How shall one “lean in,” you ask? By breaking all the social media rules, of course. Study after study will tell you to post once per day on Instagram. Sometimes, brands can post more, but generally, it’s best to keep the average at about 1.5 times a day. I strongly disagree (with data to back it up). Once upon a time, about six months ago, I managed the campus accounts for Indiana University. If you’ve never visited IU, you might not understand the influence scenery can have on admission, retention, and donation rates. 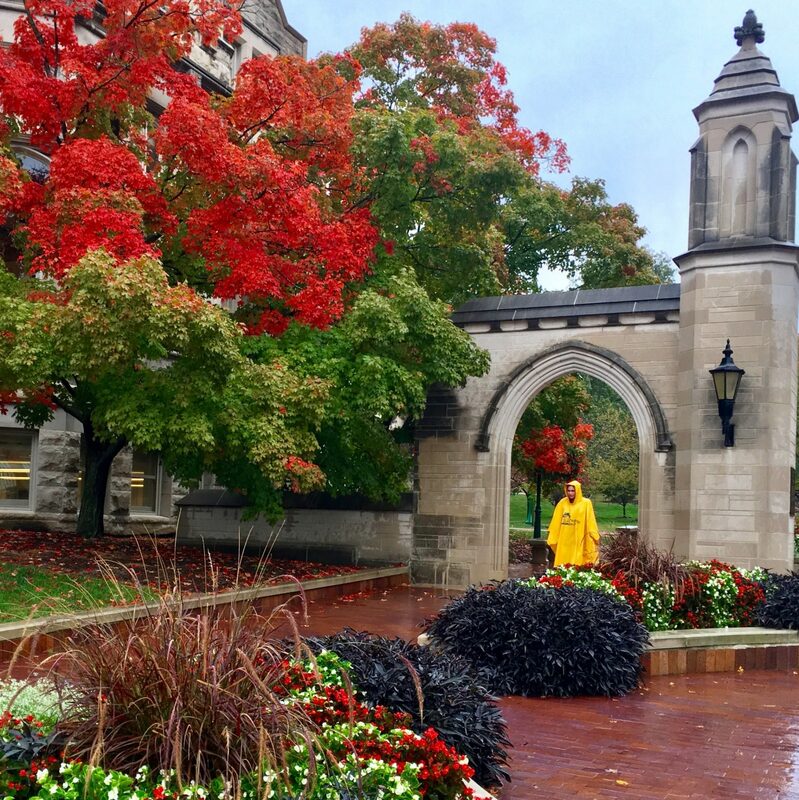 Let’s put it this way: The beauty of the campus is continually ranked as a top reason prospective students choose Bloomington. That said, the love of the campus is exceptionally seasonal. The golden leaves of fall? The blooming trees of spring? 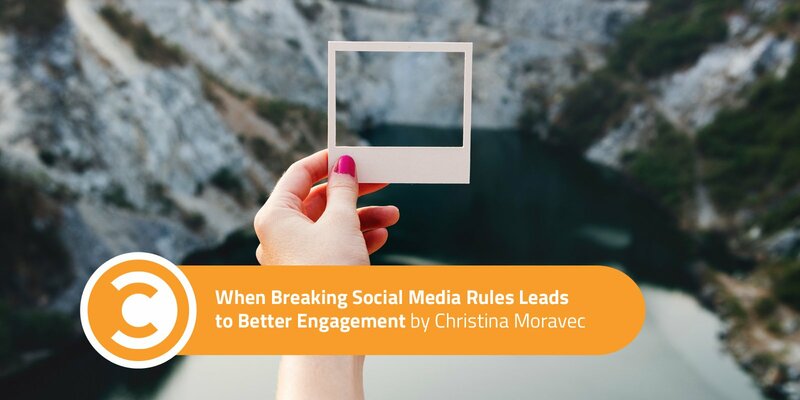 These blink-of-an-eye seasons are times in which all rules should be broken for the sake of engagement. Last April, perhaps as a final hurrah, I broke such rules to the tune of 13 posts in three days. Engagement on those three days alone equaled two weeks’ worth of engagement during April the previous year. With over 41,000 likes and comments, we attracted five times the engagement of our closest competitor, Ohio State University (see chart below, provided by Rival IQ). What was I posting, you ask? The following pictures of flowers on campus. Not to brag, but, on average, we saw over 30 percent more engagement on each post than the competition. In other words, not only were we posting more often, but we were receiving more engagement on each of those posts than the competition as well. You might be thinking that this sounds like the worst content creation issue in history. What did I do all day? Just take pictures of campus? Absolutely not! 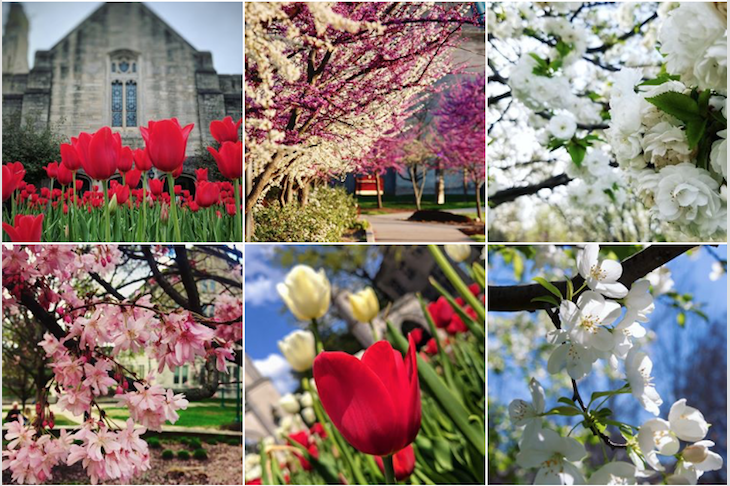 During these beautiful seasons, when the campus has no bad angles, we would receive tens of tagged photos every day. Consequently, more than 90 percent of our brand account’s shared photos were user-generated content—content that gives your brand human appeal and extra engagement. 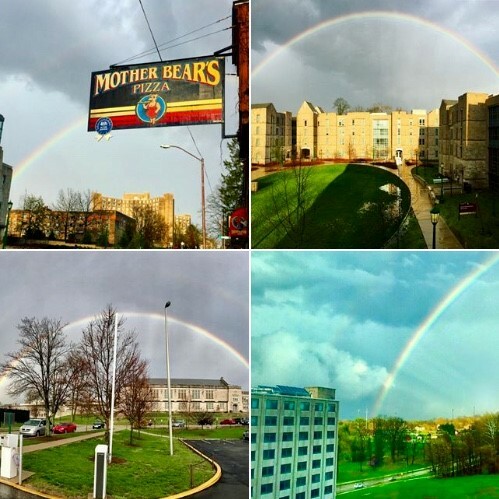 Two weeks prior, I used the same strategy of pulling and posting user-generated photos of rainbows. The engagement was astounding: The five photos posted over two days received over 25,000 engagements at over 5,000 likes and comments per post, beating our average post engagement rate by more than 40 percent. ted__hy@kieraaaaaaaa_ Don’t forget to bring me to your campus ? Cbootyking can’t wait to be on campus next school year ? Set a threshold. This threshold does not need to equal your average engagement rate per post, but instead be an estimate of how much engagement you expect within a time period. For example, I needed only 1,000 likes on a post in an hour to post again, even though 1,000 likes was well below our average. Remember that engagements will continue to roll in on past posts even if you do post again. Keep an eye on those engagement rates to catch opportunities to go into a posting frenzy. The longer you manage a brand, the better you know the power periods. When you see that engagement uptick through one such power period, make your move, and post away. Keep your other eye on your tagged photos. If you see your audience tagging you (location, hashtag or account tag) in ample photos surrounding a particular subject (such as golden trees), pull one of those user-generated photos and post on your brand’s account. If it resonates, consider yourself in an impromptu power period. The algorithm will deliver these posts to your audience out of order. Therefore, reiterating a point on all posts within a power period is not a bad idea. 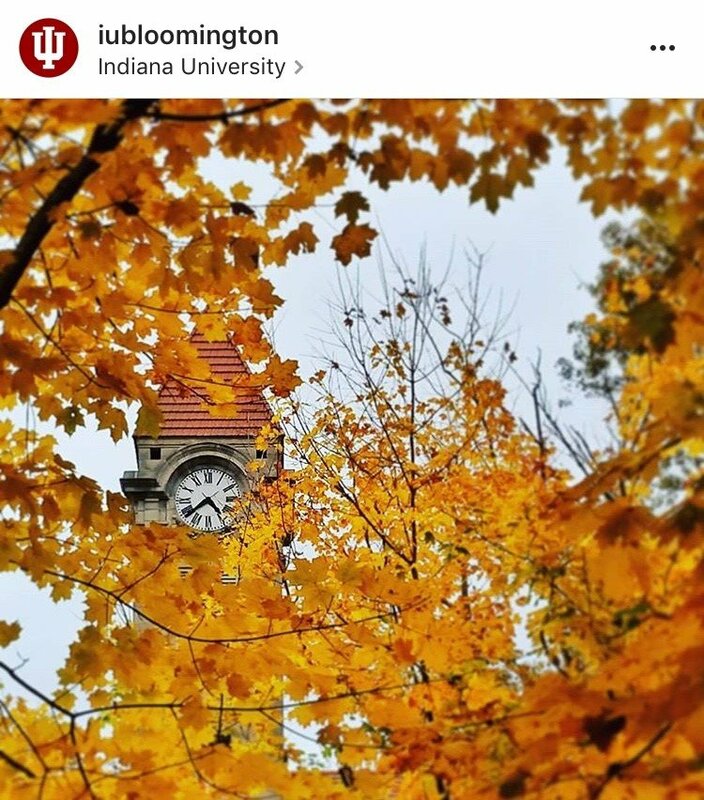 For example, I was sure to include a callout for students to tag IU in their flower photos each time I posted, up to six times a day. Finally, expect to make mistakes. If at first you sneak out, get lost on the way to the party, and ended up grounded, try, try again. We jolly rulebreakers are here for good. We shall push the boundaries of social media management until death, whether our own or the platform’s (RIP Vine).